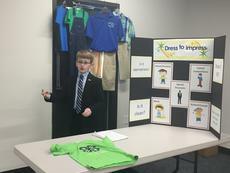 Cyrus Bivens won Grand Champion in the Junior Clothing and Textiles Demonstration Category. Alexis Grimes won Grand Champion in the Senior Animal Science Demonstration Category. Madison Wilmoth won Grand Champion in the Senior Family and Consumer Sciences Category. Madison Wilmoth won Grand Champion in the Senior Family and Consumer Sciences Category. Her demonstration title is “How to Plan and Save For College”. A broad range of communications expertise is a vital skill for today’s youth and tomorrow’s adults. 4-H helps youth improve their quality of speech and association with others, whether one-on-one in a job interview or providing a keynote address in a banquet hall. 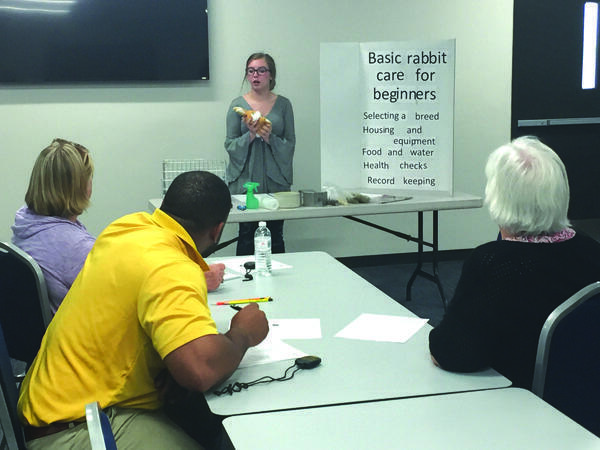 Communications programs are a long-standing tradition of 4-H. As part of these programs, members are able to deliver a speech, give a banquet address, lead a community service project, demonstrate skills associated with project work or show a younger member how do a project-related task. All of these help 4-H’ers master communications skills, become more independent, gain a sense of belonging and generously share this expertise. Senior 4-H’ers also have the opportunity to compete in mock job interviews. When young people learn the logical way to prepare a speech or present information, they develop organizational and critical-thinking skills. Competitive events give 4-H’ers the opportunity to practice what they have learned and receive positive, constructive suggestions to improve. Delivering a speech or presentation develops independence and self-confidence. These experiences help youth overcome the fear of speaking in public. 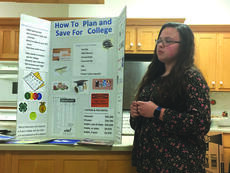 4-H members know that success is due to preparation and presentation skills. People have the opportunity to bond with others and gain a sense of belonging when speaking with ease in front of large groups or a few individuals. The ability to speak in public can open many doors in terms of personal friendships and professional advancement. When youth master skills, gain independence and develop a sense of belonging, they often want to share their achievements, by initiating and leading a service project in the community or helping other youth in various ways. Generosity such as this is an innate part of all aspects of our 4-H youth development program. Each summer, young people who have excelled at communications events at the district level are invited to the University of Kentucky to showcase their public speaking skills during the State Communications Day. This year’s date is July 14. For more information on our communication programs, contact the LaRue Cooperative Extension Service.